Swag!, originally uploaded by antigenre. 2009 got off to a good start with a trip to a taping of the Martha Stewart Show on January 6th! I met up with some members of the EtsyNJ Street Team at a Starbucks in Manhattan, and we trundled off through the cold to the Chelsea Studios and waited to get inside for the morning taping. The show was terrific (you can see almost the whole episode here), and meeting other team members for the first time was great fun! 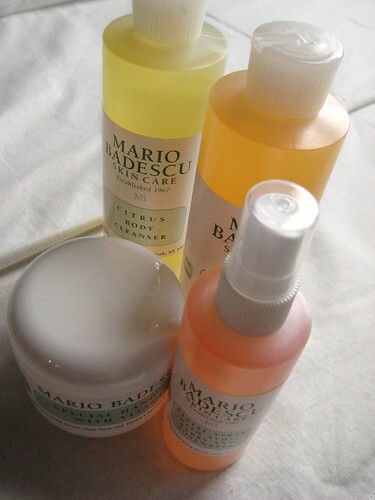 The Mario Badescu products in this photo are just some of the free goodies everyone in the audience received. The bath gels are my favorite, but as someone whose hands are ravaged by work and weather, the handcream is perfect for me!